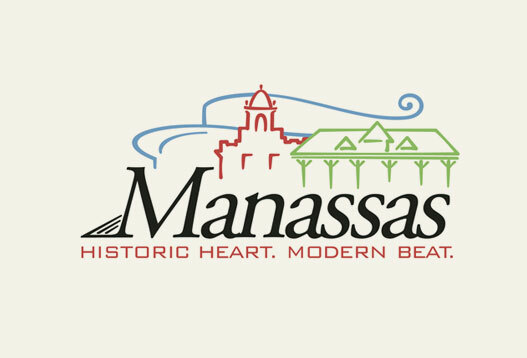 City of Manassas, VA . . . On April 26 – 28, the City of Manassas and Historic Manassas, Inc. will host One Love Manassas. This three-day multi-media art event features live music, a juried art competition, a film showcase, Chasing Light - a 3D music and light interactive experience. The weekend is designed to give artists a platform to perform, share and leverage their art. It is a celebration of life with the arts. The following are some of the events and performances during the weekend. During the weekend event, the Virginia Museum of Fine Arts is bringing their Artmobile to the Center for the Arts parking lot and will be open to the public for tours throughout the weekend. This innovative art experience is on its inaugural tour of the Commonwealth and features a collection of works by Virginia artists Sally Mann, Benjamin Wigfall, and Nell Blaine, to name a few. From 6 – 9 p.m. on April 26, there will be a juried art reception at the Center for the Arts featuring the work of artists from the National Capital Region. More than 250 pieces were submitted and juried down to about 80 pieces that will hang in the Center for the Arts gallery and Jirani Coffee House. At 7 p.m. awards will be given to the top pieces of this competition. April 26, from 7 – 9 p.m. view about 20 films out of 328 films submitted from all over the country for the One Love Manassas Film Showcase. The film showcase will be held on the third floor of the Center for the Arts. Live musical performances will be held the entire weekend. On Friday night, performances will be held from 6 – 10 p.m. at the Harris Pavilion. On Saturday the Main Stage will be on Center Street near Main Street. Saturday’s headliner is recording artist Aaron Cole at 4 p.m. Aaron Cole, recently on tour with Toby Mac, seamlessly bridges the gap between rapping and singing. His musical influences include the soulful melodies of Stevie Wonder, the versatility of Mali Music and the grooves and lyricism of Jon Bellion. On Sunday, at the Harris Pavilion, music performance will feature inspirational music to include at 2 p.m. over 100 singers in the Voices United choir. 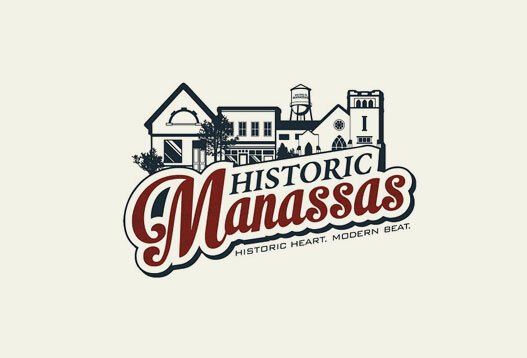 On Saturday, April 27 from 9 a.m. to 2 p.m. join the City of Manassas, Manassas City Public Schools and the Prince William Library System for Manassas Reads. This free literary art event features free books, face painting, local celebrity readers, Manassas Therapy Dogs, crafts, a photo booth and lots of fun. Books are available in both English and Spanish. Other featured events during the day on Saturday, April 27, include the Battle of the Artists chalk art competition on Battle Street, an Artist Marketplace on Center Street, artist workshops, live portrait painting at Calico Jacks by Creative Brush Studio, live music on the main stage and more. As the day turns into evening, participants are asked to make their way down to the Harris Pavilion to grab a light globe to carry over to the Museum Lawn. This procession is called “Turn on your Light” and hopes to inspire folks to shine their light for others. The procession will end on the lawn with a live art re-creation of the One Love logo. On the Museum Lawn the City of Manassas is hosting a new 3D art installation called Chasing Light. This was made possible with a grant from the Virginia Commission of the Arts. Dallas artist Carmen Menza created the first-of-its kind 3D projected visual and music installation for the Manassas Museum lawn. Music Composer Mark Menza has specially created a piece of music to go with this installation and musicians who wish to play along can find the piece and music at www.onelovemanassas.com/chasing-light<http://www.onelovemanassas.com/chasing-light>. The Manassas Ballet Theatre will perform to Chasing Light at 9 p.m.
From 7 – 10 p.m. at the Center for the Arts, join world-renowned swing dancer and teacher eWA Burak and dance to music from the Silver Tones Swing Band. Workshops throughout the weekend include: Asian Brush Painting, Instructional Egg Tempera, Making Peace: A mindfulness through art workshop, The Inspiration of Clouds, Belly Dancing Workshop, Zentangle Method Workshop, Dance and Movement workshop, A conversation with Cathy Davis, author of Myracles, and more. 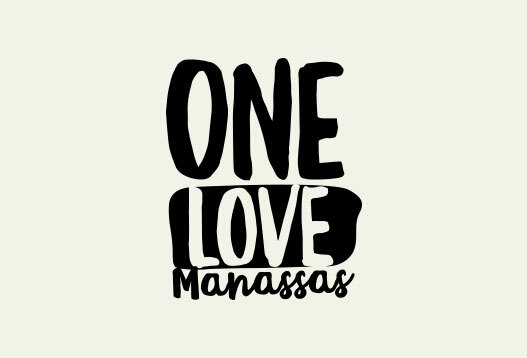 Information and times for these workshops and events can be found at www.onelovemanassas.com<https://www.onelovemanassas.com/>. Process of creating "Chasing Light"